The Sail Rock 2013 tour wove its way into the Chautauqua Institute’s Amphitheater Friday evening. 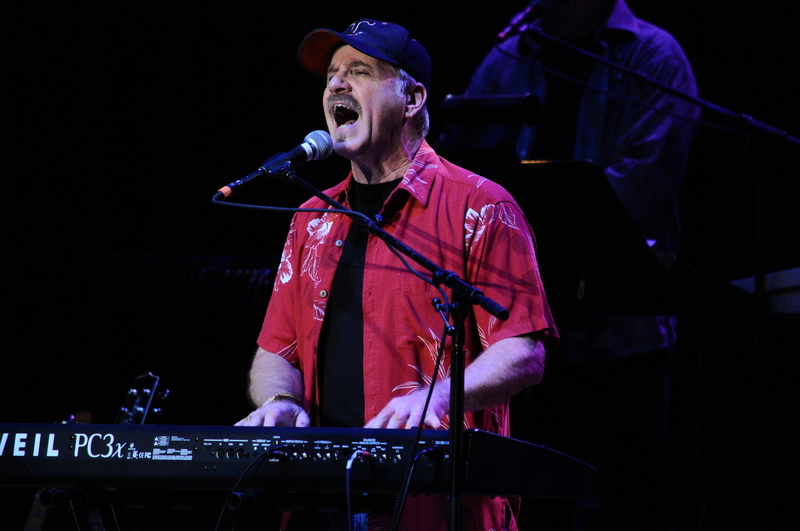 The picturesque setting with nearby Chautauqua Lake made this show even more nostalgic as fans had the chance to relive those magic songs of the seventies and early eighties. The show began with John Ford Coley, who had a string of hits with his old partner the late “England” Dan Seals. Kicking of the affair with a pair of the duo’s top ten hits “We’ll Never Have To Say Goodbye Again” and “I’d Really Love To See You Tonight” was a great way to get the audience into the show. During his final song of the evening he mentioned how much Dan loved “Love Is The Answer” as he played it for him as a tribute. Up next was Robbie Dupree who began with his Top 6 smash from 1980, “Steal Away”. Dupree also had another hit “Hot Rod Hearts” which he also performed before turning the stage over to Player. 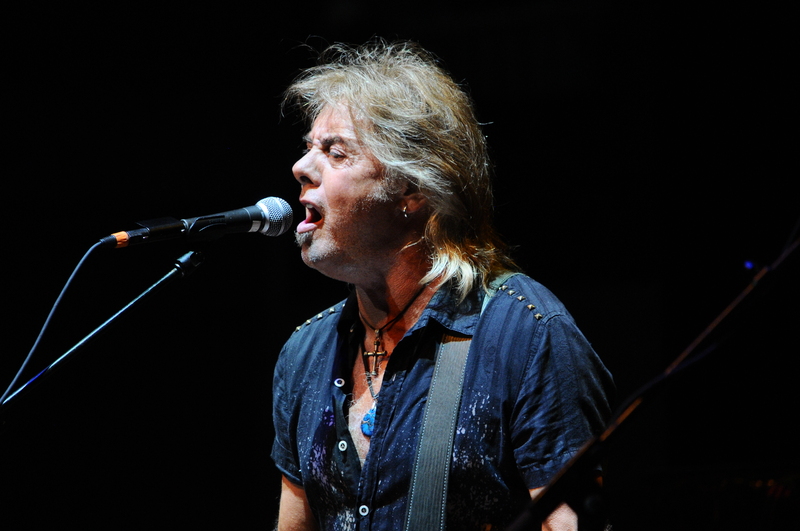 Player featuring original members Ronn Moss and Peter Beckett strolled out to play their two biggest hits. “This Time I’m In It For Love” featured Ronn Moss on lead vocals. Moss as some may remember left to pursue an acting career that led to his best known role of Ridge Forrester on the CBS daytime soap The Bold and the Beautiful. Beckett followed up by singing the bands signature song “Baby Come Back” which rose to the top of the charts and was a staple everywhere you went in 1977. 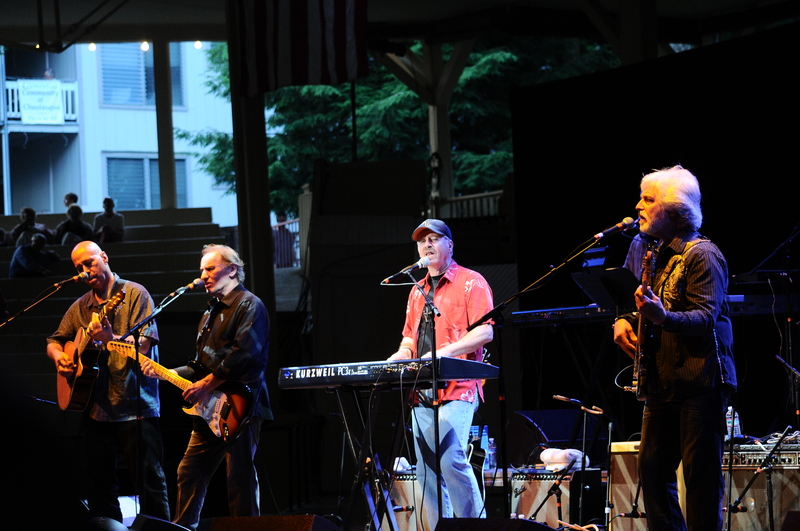 Firefall followed featuring original member Jock Bartley and longtime guitarist/vocalist Johnne Sambataro. “Just Remember I Love You” and “You Are The Woman” were played to the crowd’s delight. Gary Wright who at one time was a member of Spooky Tooth, an English band that also featured Foreigner guitarist Mick Jones was on stage next. Wright is best known for his 1976 classic “Dream Weaver”. It would have been good to hear “Really Wanna Know You” which was his last top 40 hit from 1981 but it was not to be. Orleans was up next although they were on stage the whole time serving as the house band for each act. Their performance of their classic “Dance With Me” drew the first standing ovation of the evening. Lance Hoppen mentioned how it had been about a year that they lost his brother Larry Hoppen who sang lead on the bands two biggest hits. The band closed with “Still The One” before turning it over to the Christopher Cross to close out the event. Cross opened with his smash “Never Be The Same” and it was clear who most fans came to see. Cross mentioned how a new version of the movie Arthur was recently released but stated there is really only one Arthur and that is Dudley Moore as he launched into his number one hit Arthur’s Theme (The Best That You Can Do). 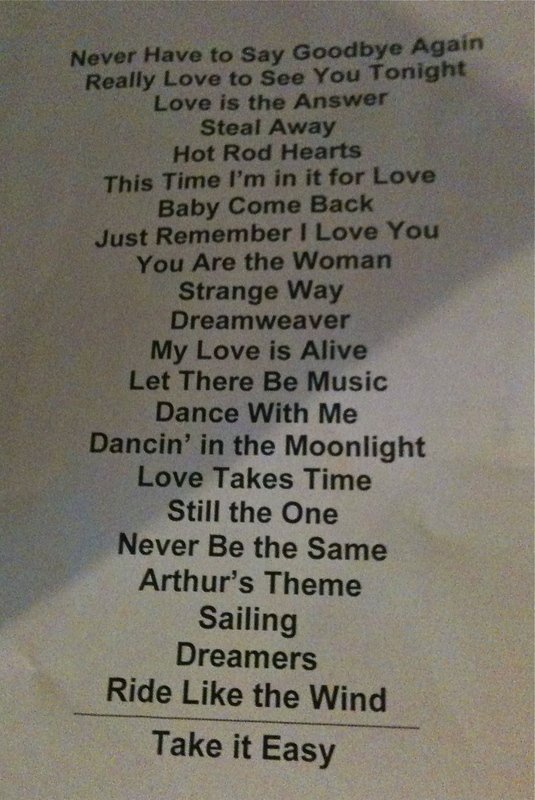 The highlight of the whole night had to be the amazing performance of Cross’ other number one hit “Sailing”. Cross’ voice was crisp and clear and the performance was one to remember. 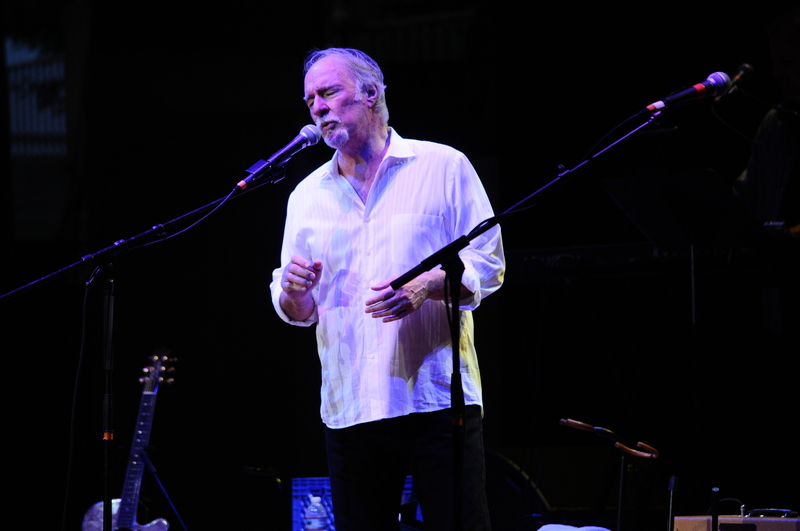 As he introduced what he called the song that put him on the map, “Ride Like The Wind” he gave a nod to Michael McDonald who was sang background vocals on the original version recorded on his debut album which landed Cross five Grammy’s. For an encore almost every artist on the bill came out to jam on The Eagles “Take It Easy”. A fitting way to close out the show and send everyone home on a high note. The show featured nothing but the hits that dominated the airwaves in the mid to late seventies. There are not many tours out there today that can boast the set list that Sail Rock 2013 can. One can hold out hope that a tour like this is something that can be done every summer. With the a friendly ticket price it makes for an enjoyable night out for the whole family and also to celebrate some great music as well.